This is a square Brixment Mortar porcelain sign. This particular Brixment Mortar sign is predominantly black and red with black text. 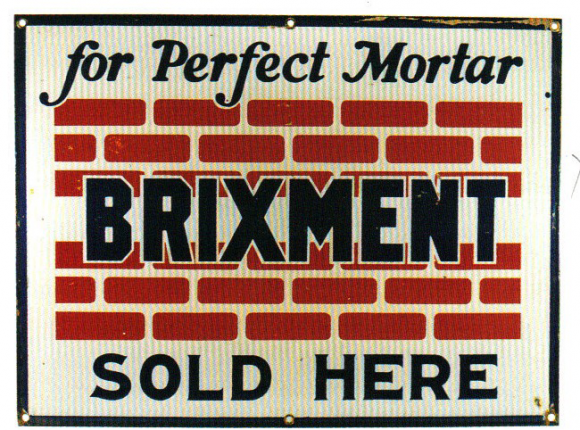 It reads, “Brixment for Perfect Mortar Sold Here” and features a brick wall.